Home beware bug health health news house kill BEWARE: If you ever see this bug in your house, kill it right away before it kills you! BEWARE: If you ever see this bug in your house, kill it right away before it kills you! If you ever see a triatomines or known as kissing bugs, you better kill it immediately. Kissing bugs are said to be attracted with carbon dioxide. Triatomines or also known as kissing bugs may sound like some friendly bugs whom you can play with. However, it's worse than what you expected. These insects are named for their habit of biting human on the face and around your mouth! Elite Readers stated that kissing bugs are attracted to Carbon Dioxide that is being exhaled by human and also, these bugs feed on blood. They are commonly found in the Southern United states, Central America, Southern America and Mexico. 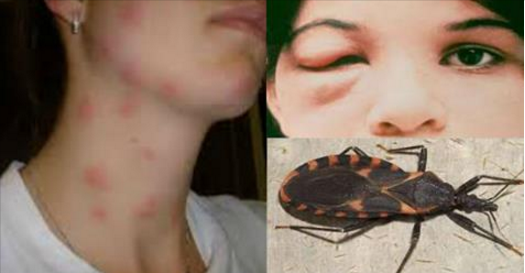 The bugs are the ones who can pass on serious infection known as Chagas disease.